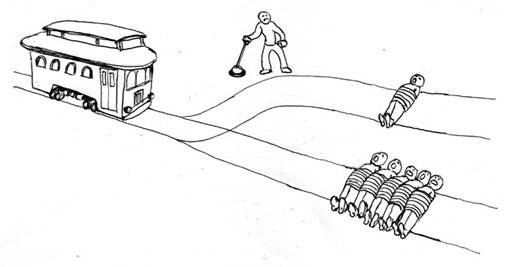 A runaway trolley car is hurtling down a track. This quiz might make you testy but it also make help you get your bearings in our increasingly turbulent world. If you are not familiar with Mike Adams and his NaturalNews.com, do yourself a favor and check it out. Adams gives out top-flight information on current events as well as health issues. 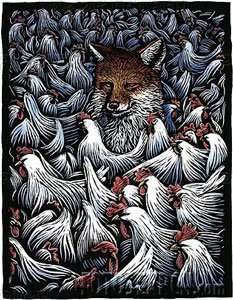 But, right now, take his test and gauge how deep in the herd you might be. Here's the quiz. Choose "A" or "B" as the answer for each question, then check your score below. B) To fund mammogram campaigns that actually irradiate women's breasts, causing the very cancers that earn huge profits for the cancer treatment industry. B) Loot the economy and control America's economy for the interests of the few. To score your Sheeple Quiz, simply count the number of times you answered "A" to the questions above. 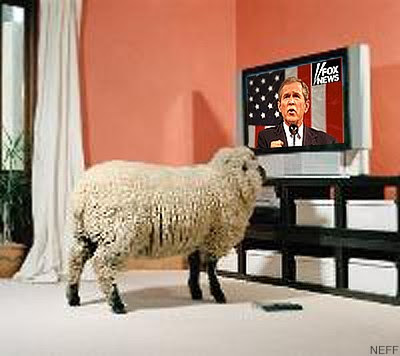 You are a total news-watching, gullible fairytale swallowing Sheeple! Be sure to keep taking those medications and watching more network news. Don't bother thinking for yourself because you seem to be incapable of accomplishing that. You are sadly Sheeple-minded but there is hope for your rescue. Learn more about the world around you and train yourself to think critically so you can depart from the herd mentality. You are an unusually intelligent free-minded thinker who questions the world around you and doesn't buy into the usual propaganda. You still got suckered on a few items, so there's more yet to learn. But you're on the right track! On August 7th, thousands gathered at Shoreline Amphitheater for a day of music, inspiration, education and activism. Between the seven hours of stage performances, the audience saw a collection of videos about the issues, and ways to become engaged in the cause. For everyone who couldn't be there, we're happy to present these videos online. "I'm so happy to be here, my dimples are locked," a beaming Bonnie Raitt said during her set at the August 7th all-star concert benefiting MUSE (Musicians United for Safe Energy), the activist group Raitt, Jackson Browne, Graham Nash and John Hall created in 1979 to promote alternatives to nuclear power..."
And Stan Romanek can prove it. Romanek's gripping tale-augmented by video footage, photographs, and physical evidence-is the world's most documented extraterrestrial contact case. 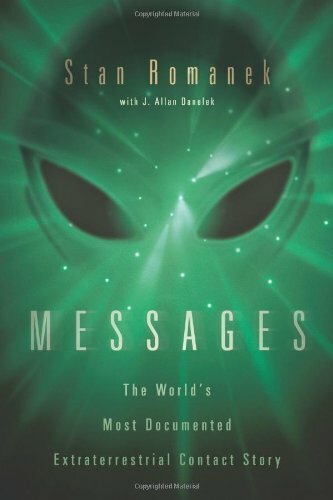 In print for the first time, Romanek relives his personal experiences, from his first sighting of a UFO to terrifying alien abductions. Romanek tells how he captured an extraterrestrial on film-the famous "alien in the window" video footage featured on Larry King Live. Messages includes photos, witness statements, lab reports, and other evidence supporting the validity of Romanek's fascinating story. But what's most shocking are the strange messages these unearthly visitors communicate to Romanek-authentic equations relating to space travel and planetary diagrams pinpointing what could be an auspicious date for the human race. "(In closing,) - I would like to quote the “seven social sins” that Mahatma Gandhi warned against, and which are inscribed on his tombstone. The first is “Politics without Principle.” To those who gathered here today, I would like you to take these words deeply to heart. Gandhi’s other sins, such as “Wealth without Work,” “Pleasure without Conscience,” “Knowledge without Character,” “Commerce without Morality,” all apply to electric power companies, including TEPCO. And with “Science without Humanity,” I would challenge academia and its all-out involvement with the nation’s nuclear power policy, and that includes myself. The last one is “Worship without Sacrifice.” To those who have faith, please take these words to heart, too. Thank you very much." Koide Hiroaki began his career as a nuclear engineer forty years ago drawn to the promise of nuclear power. Quickly, however, he recognized the flaws in Japan’s nuclear power program and emerged as among the best informed of Japan’s nuclear power critic. 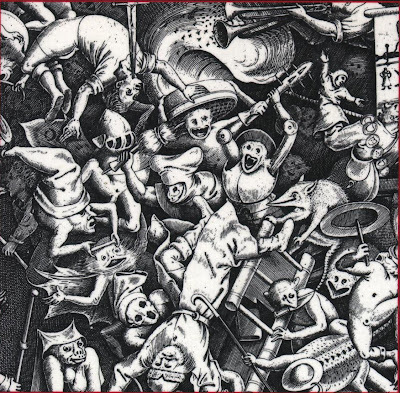 His cogent public critique of the nuclear village earned him an honourable form of purgatory as a permanent assistant professor at Kyoto University. Koide would pay a price in career terms, continuing his painstaking research on radio nuclide measurement at Kyoto University’s Research Reactor Institute (KURRI) in the shadows. Until 3.11. NIRS: Tepco reported today the highest radiation levels yet measured at Fukushima Daiichi—1,000 Rems/hour (10 Sieverts/hour)—a lethal dose. The measurements were taken at the base of the ventilation stack for Units 1 and 2 (the stack that did not work during the accident). The actual levels may have been more than measured, since the monitoring equipment could not measure more than 10 Sieverts/hour. Workers sent to the area to confirm the measurements, which were first picked up by a gamma measuring camera, received doses of about 400 millirems in just a few minutes. lost original by Leonardo da Vinci. 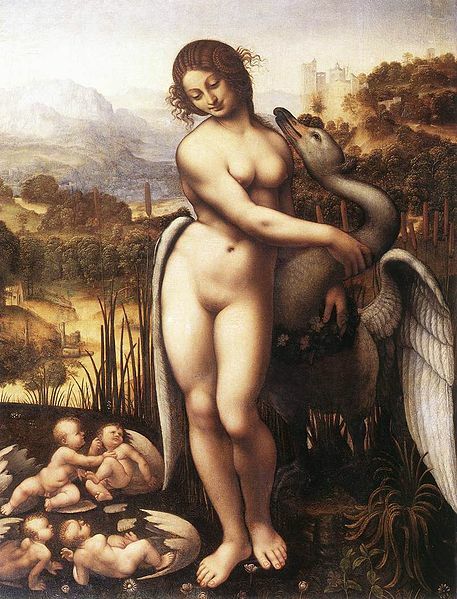 Leda and the Swan is a motif from Greek mythology in which Zeus came to Leda in the form of a swan. According to later Greek mythology, Leda bore Helen and Polydeuces, children of Zeus, while at the same time bearing Castor and Clytemnestra, children of her husband Tyndareus, the King of Sparta. In the W.B. Yeats version, it is subtly suggested that Clytemnestra, although being the daughter of Tyndareus, has somehow been traumatised by what the swan has done to her mother. As the story goes, Zeus took the form of a swan and raped or seduced Leda on the same night she slept with her husband King Tyndareus. In some versions, she laid two eggs from which the children hatched. In other versions, Helen is a daughter of Nemesis, the goddess who personified the disaster that awaited those suffering from the pride of Hubris. There is currently much anxiety regarding the apparent instability of the financial markets. It is of interest that the obvious and understandable fear regarding the future of the global economy is not accompanied by an analysis of the underlying cause of this phenomenon. No one seems to be questioning the systemic flaw in the financial system that we have come to rely upon. The apparent health or malaise of the financial markets has come to depend upon speculation. The wild activity that is reflected in the crazed up and down swings of the stock market is based on a simple and highly destructive paradigm – the goal of the individual speculator is to make lots of money solely through the manipulation of the flow of capital. Success in this regard is based on the idea of accumulating wealth not through productive endeavor but rather through the skillful playing of the markets. Within this model, there is no concern for the financial well being of the community. Quite to the contrary, as we have seen, “ordinary” citizens have suffered greatly as a direct result of this cold and unforgiving logic based on the primacy of the individual. There is no morality in evidence within this bankrupt system; there is no self respect involved, and there is certainty no interest in the very future of this world of humans. The end result of this kind of failed logic is a sad testimonial to the state of human progress. 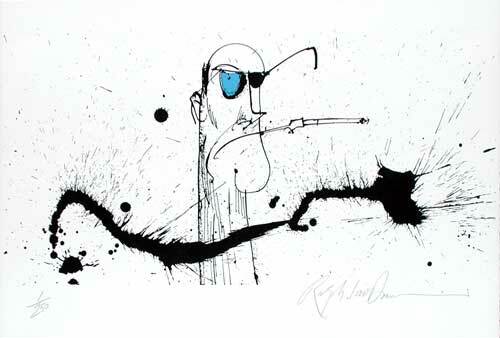 Greed, by its very nature, has produced this kind of volatility and an extraordinary amount of human suffering. It is exceedingly disturbing that the uncontrolled accumulation of inordinate wealth continues to be held up as the preferred way to do our nation’s business. 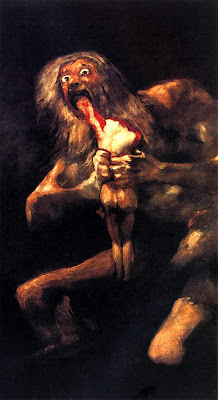 "Saturno devorando a su hijo." Socially engaged Buddhism is a dharma practice that flows from the understanding of the complete yet complicated interdependence of all life. It is the practice of the bodhisattva vow to save all beings. It is to know that the liberation of ourselves and the liberation of others are inseparable. It is to transform ourselves as we transform all our relationships and our larger society. It is work at times from the inside out and at times from the outside in, depending on the needs and conditions. It is is to see the world through the eye of the Dharma and to respond emphatically and actively with compassion. Buddhist Peace Fellowship is a community of primarily dharma practitioners established to support socially engaged efforts of visionaries of compassionate social justice and dharma-based organizations for social change. 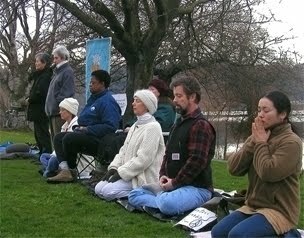 Buddhist Peace Fellowship is a leader in socially engaged Buddhism, cultivating peace through sharing with others decades of experience, providing donors who value peacemaking to other organizations, and educating the public with dharma-centered views of social justice. 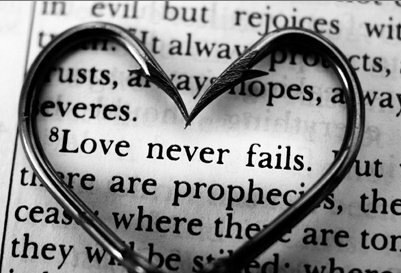 We are here to assist in implementing projects that work toward ending suffering in the world. Buddhist Peace Fellowship makes an effort to speak without anger and opposition for those who have been silenced by war, poverty, environmental disaster, genocide, and youth whose lives have been impacted by violence. CYMD 2008 was organized by the Buddhist Peace Fellowship of Tampa Bay. Each year we bring together the various traditions of Buddhists from around Tampa Bay to share their insights, teachings, and practices with the general public. Thich Nhat Hanh: What Is Engaged Buddhism? One of the best known and most respected Zen masters in the world today, poet, and peace and human rights activist, Thich Nhat Hanh has led an extraordinary life. Born in central Vietnam in 1926 he joined the monkshood at the age of sixteen. The Vietnam War confronted the monasteries with the question of whether to adhere to the contemplative life and remain meditating in the monasteries, or to help the villagers suffering under bombings and other devastation of the war. Nhat Hanh was one of those who chose to do both, helping to found the 'engaged Buddhism' movement. His life has since been dedicated to the work of inner transformation for the benefit of individuals and society. "When you realize the wholeness and interdependence of life, you have to take care of everyone, and to do that, you have to work with every ingredient of life." In 1967, Bernie began his Zen studies with Hakuyu Taizan Maezumi Roshi, Founder of the Zen Center of Los Angeles. He became a Zen teacher--Sensei Glassman--in 1976. In 1980 he founded his own Zen Community of New York in the Bronx, New York. He started the Greyston Bakery, at first staffed by Zen students, as a livelihood for the Community, and then made it a vehicle for social enterprise in Yonkers, 3 miles north (see below). In 1995 Bernie Glassman received inka, or the final seal of approval, from his teacher and became known as Roshi Bernie. During that year and in 1996 he served as Spiritual Head of the White Plum Lineage, comprising hundreds of Zen groups and centers in the US, Latin America and Europe, as well as the first President of the Soto Zen Buddhist Association of America. His Dharma Family includes dharma teachers, zen priests, zen preceptors, zen entrepreneurs, Christian clergy, Rabbis, Sufi Sheiks and multi-faith peacemakers. • inspiring and training a new generation in this way of service as Zen practice. Paul Adrien Maurice Dirac, OM, FRS (8 August 1902 – 20 October 1984) was an English theoretical physicist who made fundamental contributions to the early development of both quantum mechanics and quantum electrodynamics. He held the Lucasian Chair of Mathematics at the University of Cambridge and spent the last fourteen years of his life at Florida State University. Among other discoveries, he formulated the Dirac equation, which describes the behaviour of fermions, and predicted the existence of antimatter. Dirac shared the Nobel Prize in physics for 1933 with Erwin Schrödinger, "for the discovery of new productive forms of atomic theory." 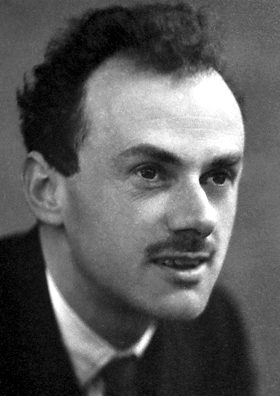 Dirac is widely regarded as one of the world's greatest physicists. He was one of the founders of quantum mechanics and quantum electrodynamics. His early contributions include the modern operator calculus for quantum mechanics, which he called transformation theory, and an early version of the path integral. He formulated a many-body formalism for quantum mechanics which allowed each particle to have its own proper time. 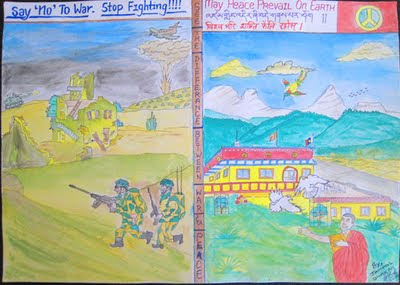 "Advocating Practical Steps Towards a Lasting Peace"
From a series of workshops and a traveling exhibition featuring artwork from school children in Nepal, Poland, Germany, Italy, Costa Rica, the United States, and other countries. What we must learn is how to deal with that conflict without resorting to violence. At this beginning of the twenty-first century, we are being called upon to face the needs of humanity, in all its tragic urgency. And we must, at the same time, face up to the requirements of the species: this century shall be peaceful or shall not be at all. "We will bring forth clear and positive messages on demilitarization based on rigorous studies, political experiences, and individual witness and testimony." Greetings from the U.S. chapter of A World Without Armies! 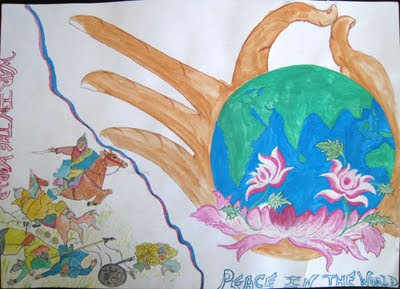 We deeply appreciate your work for peace in the world and peace with the earth. Together with three other organizations, we co-sponsored the First Conference of Women for the Abolition of Armies in Central America by 2020, which was held at the Costa Rican Ministry of Culture and the Universidad de Cooperacion Internacional in San José in 2007. In order to achieve our common goal, our next step is to develop academic studies on the demilitarization potential of every nation. We need to understand the positive elements, challenges, and obstacles for reducing and abolishing military forces in each nation. We need to develop strategies and build concrete processes. It would be effective if people and organizations that are committed to do the work were all connected and collaborating domestically and internationally. We want to see a surge of a movement for demilitarization worldwide. Your ideas, suggestions, and action reports on demilitarization would be valuable to all those who are concerned. We would like to learn from you, collaborate with you, and share our experience with you. Also, we would like to post some of the communications and photographs from you on our website, www.aworldwithoutarmies.org. Please write to us and we will write to you. • We organize and sponsor peace and reconciliation programs around the world. • We fund scholars in political science, peace studies, and related fields who are undertaking research on the demilitarization potential of nations. • We promote Courageous Conversations--friendly and non-polarized discussions that explore the need and steps for creating a world without war. • We host the Costa Rica Initiative--a women’s initiative for A Central America Without Armies. 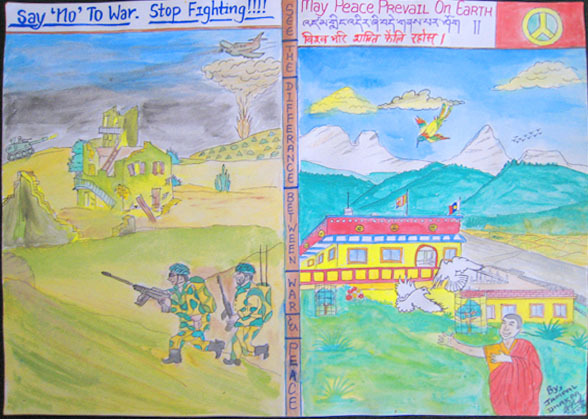 A series of workshops and a traveling exhibition featuring artwork from school children in Nepal, Poland, Germany, Italy, Costa Rica, the United States, and other countries. Kazuaki Tanahashi, Director of A World Without Armies, born and trained in Japan and active in the United States since 1977, has had solo exhibitions of his calligraphic paintings internationally. He has taught East Asian calligraphy at eight international conferences of calligraphy and lettering arts. Also a peace and environmental worker for decades, he is a Fellow of the World Academy of Art and Science. There’s a side to regulation that most people don’t think about, and it has far-reaching effects if representatives of corporations are writing the rules. Once a regulation is passed saying, “you can emit no more than 10 ppm [parts per million] of mercury,” you can legally emit up to 10 ppm. Before that rule was passed, any amount you emitted might subject you to potential lawsuits from nearby humans made ill by your emissions, by other states, or even by the federal government. The regulatory rule essentially legalizes what a corporation is doing. In the best of worlds, this wouldn’t be a problem. But in practice it means that business interests are often directly involved in writing the regulations that they themselves will have to obey. • Tobacco companies point to the government-mandated warnings on their labels, saying that the labels relieve them of responsibility for tobacco-related deaths because they’re obeying government rules. • Producers of toxic wastes can’t be sued or attacked if they are releasing their toxins within guidelines defined by a government agency. • Telemarketing companies push for laws and regulations that define their practice, thus legalizing it. "As all things are buddha-dharma, there is delusion and realization, practice, and birth and death, and there are buddhas and sentient beings. Yet in attachment blossoms fall, and in aversion weeds spread." "The depth of the drop is the height of the moon"
Genjo Koan is perhaps the best known section of Eihei Dogen’s masterwork, Shobogenzo (Treasury of the True Dharma Eye). • Dōgen Zenji (also Dōgen Kigen 道元希玄, or Eihei Dōgen 永平道元, or Koso Joyo Daishi) (19 January 1200 – 22 September 1253) was a Japanese Zen Buddhist teacher born in Kyōto, and the founder of the Sōtō school of Zen in Japan after travelling to China and training under the Chinese Caodong lineage there. Dōgen is known for his extensive writing including the Treasury of the Eye of the True Dharma or Shōbōgenzō, a collection of ninety-five fascicles concerning Buddhist practice and enlightenment. "(lit. 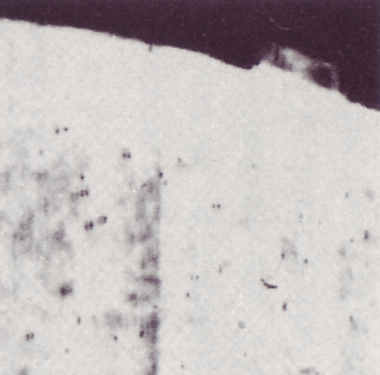 'Treasury of the True Dharma Eye') The term Shōbōgenzō has three main usages in Buddhism: (1) It can refer to the essence of the Buddha's realization and teaching, that is, to the Buddha Dharma itself, as viewed from the perspective of Mahayana Buddhism, (2) it is the title of a koan collection with commentaries by Dahui Zonggao, and (3) it is used in the title of two works by Dogen Kigen..."
Hunter Stockton Thompson (July 18, 1937 – February 20, 2005) was an American journalist and author who wrote Fear and Loathing in Las Vegas (1971) and Fear and Loathing on the Campaign Trail '72 (1973). 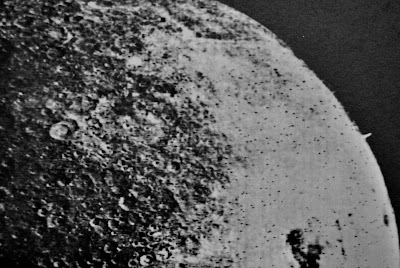 "As radiation readings in Japan reach their highest levels since the Fukushima Daiichi nuclear power plant meltdowns, we look at the beginning of the atomic age. Today is the 66th anniversary of the U.S. atomic bombing of Nagasaki, which killed some 75,000 people and left another 75,000 seriously wounded. 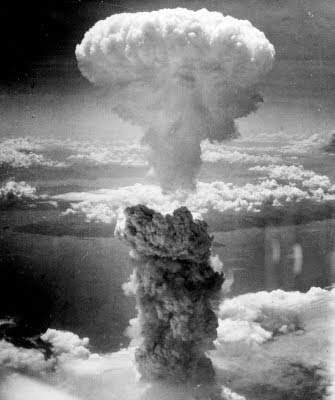 It came just three days after the United States dropped an atomic bomb on Hiroshima, killing around 80,000 people and injuring some 70,000. By official Japanese estimates, nearly 300,000 people died from the bombings, including those who lost their lives in the ensuing months and years from related injuries and illnesses. Other researchers estimate a much higher death toll. We play an account of the 1945 atomic bombing of Nagasaki by the pilots who flew the B-29 bomber that dropped that bomb, and feature an interview with the son of Pulitzer Prize-winning journalist George Weller, who was the first reporter to enter Nagasaki. 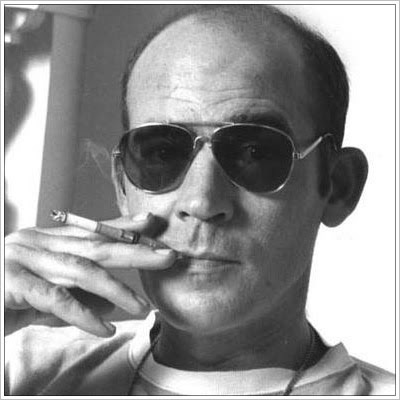 He later summarized his experience with military censors who ordered his story killed, saying, 'They won.' Our guest is Greg Mitchell, co-author of 'Hiroshima in America: A Half Century of Denial,' with Robert Jay Lifton. His latest book is 'Atomic Cover-Up: Two U.S. Soldiers, Hiroshima & Nagasaki and The Greatest Movie Never Made.' [includes rush transcript]"
I have only love in my heart. 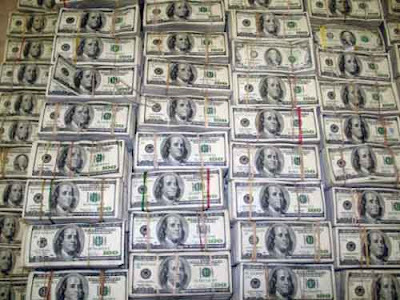 Why is it that military "entitlements"
in these times of extreme debt crisis? Regarding the great recession of 2007, it’s 2011 and this economic downturn shows no sign of abating. The politicians are getting crazier and crazier. They’re being pushed and pulled by divergent forces. Their first impulse is to protect wealth and the wealthy – they are compelled to do so, for that is their bread and butter. That puts them at opposite poles in regards to the majority of their constituents, who elect them; for it is the overwhelming majority that is dining off the diminishing crumbs inadvertently dropped from the table of the ever-feasting ruling class. Members of the Congress, therefore, have to make preposterous statements and ludicrous rationalizations as they ever so indelicately whittle away at the middle class. All the pandering, all the gesticulating, all the discordant voices, all the feeble pronouncements of pretend optimism has gotten me thinking about freedom. That is the commodity we as Americans are supposed to be so proud of having. We may eventually be living in the detritus of our own making, but we are repeatedly told that we have our freedom to be thankful for. This is what I call one of the big lies we are constantly fed. The claim is that we are guaranteed our freedom as an essential feature of our political system. I believe this to be patent nonsense. Our brains are being filled with the empty contents of the modern age. We are given marvelous electronic devices to entertain us and essentially distract us. The communal discourse is filtered, contrived and controlled. The vast majority of the population is comprised of individuals who are essentially wage slaves constantly afraid of losing their ever-diminishing access to bread, shelter, meaningful education and good health. We are now told that they we expect to never retire from our jobs, if there are jobs, for retirement may mean instant destitution. The kind of freedom that is available is of little value especially when one’s preoccupation is with survival. True freedom, in fact, cannot be granted or for that matter taken away. True freedom lies within the life of the mind. I have the capacity anytime I choose to rise above the fray and free myself from the ludicrous. Nothing can take this away – not abject poverty, not disease, not government fiat, not personal adversity. Let the voices from all corners of the political spectrum drone on with their tiresome and repetitive messages trying to tell me whom to hate and what to fear. The entire substance of our culture may very well collapse from the ineluctable force of gravity as it devours its structure from within. I have no control over such an historic destiny. Humans have the remarkable capacity to undo themselves and be totally surprised as to how it happened. 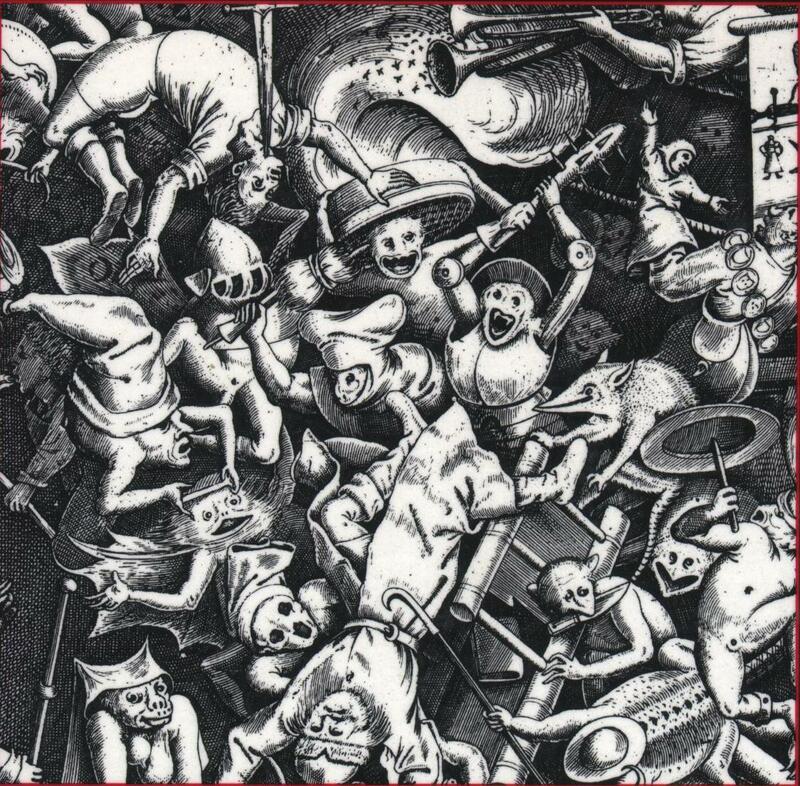 Societies, cultures, civilizations come and go like individuals. All choices have consequences. Even the most well structured and benevolent decision can lead to disaster. Making choices in which the outcomes are known to be ruinous is a particularly well-developed trait as far as humanity is concerned. In essence, true human freedom comes when we take the responsibility to free our minds of the constraints placed upon us from without. Only then will we be able to undo the yolk of greed and relentless acquisition that has been imposed on the collective imagination. 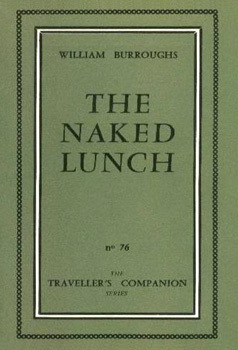 Naked Lunch is considered Burroughs' seminal work, and one of the landmark publications in the history of American literature. 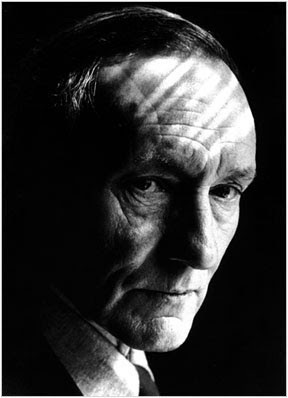 Extremely controversial in both its subject matter and its use of obscene language (something Burroughs recognized and intended), the book was banned in Boston and Los Angeles in the United States, and several European publishers were harassed. It was one of the most recent American books over which an obscenity trial was held. The book was banned in Boston in 1962 due to obscenity (notably child murder and acts of pedophilia), but that decision was reversed in 1966 by the Massachusetts Supreme Judicial Court. The Appeals Court found the book did not violate obscenity statutes, as it was found to have some social value. The hearing included testimony in support of the work by Allen Ginsberg and Norman Mailer. Illusions: The Adventures of a Reluctant Messiah is a novel by writer and pilot Richard Bach. First published in 1977, the story questions the reader's view of reality, proposing that what we call reality is merely an illusion we create for learning and enjoyment. Illusions was the author's followup to 1970's Jonathan Livingston Seagull.